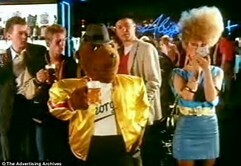 Hurray, Hofmeister beer has been reinstated and with it, George the Bear. 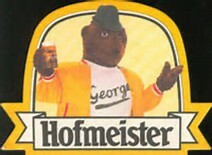 After 13 years without the famous bear and his glorious beer, Hofmeister is back on our supermarket shelves. sporting the Del-Boy-type spiv, George. In the 1980s and 1990s, the frothy lager became the beer of a generation of lads like me (although I was 29 in 1980 - so hardly a 'lad'). The tasteless brew as made popular by George the Bear, and his shoulder swinging antics on our TV screens, but was dropped in 2004. Now the beer has been redesigned in an artisan form, using traditional German ingredients and methods, and as been name the best lager in the world in blind taste tests. I'm getting a few cans this weekend!